Betty Helen Bushee, 90, of Acworth, Georgia, formerly of South Haven, Michigan, passed away January 4, 2019 at the A.G. Rhodes Nursing Home in Marietta, Georgia. She was born December 30, 1928 to Harley and Goldie (Mort) Hoyt in South Haven, Michigan. She graduated from Fennville High School with the Class of 1946. 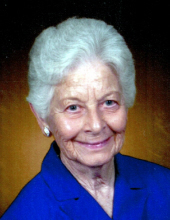 She later attended Allegan County Normal School and Western Michigan University before teaching at Glenn Community Schools and Burrows Schools from 1947 until 1953. Betty married Lawrence Bushee on July 15, 1950 at the Casco EUB Church. They shared 68+ years in marriage. Betty was preceded in death by her parents; brother, LaVern Hoyt. Betty is survived by her husband, Lawrence Bushee of Acworth, Ga., children; Glee Barber of Waleska, Georgia; Judy (Greg) Brown of Johnston, Iowa; and Carla Bushee of Watford, North Dakota; sister in law, Louise Hoyt of Galesburg, Michigan; eight grandchildren and fourteen great grandchildren. A visitation will be held Monday, January 7, 2019, 5:00 – 8:00 P.M. at Benson Funeral Home in Dallas, Georgia. A second visitation will be held Friday, January 11, 2019, from 10:00 A.M. – 11:00 A.M. at the Filbrandt Family Funeral Home in South Haven. Funeral Services will be held Friday, January 11, 2019, at 11:00 A.M. at the funeral home. Betty will be laid to rest at McDowell Cemetery in Casco Township, Michigan. Kindly share your thoughts and memories on the family’s online guestbook at www.FilbrandtFFH.com. The family is being helped by the Filbrandt Family Funeral Home of South Haven. 269-637-0333.